Many families might still be unpacking from a spring break getaway, but that doesn’t mean it’s too early to begin planning for summer. Summer vacations are a great way to explore, try new things, and make lasting memories with your family. However, as summer vacations tend to be longer than their spring counterparts, it’s wise to plan ahead and save. Whether you’ve got a road trip in mind, a staycation, or an international excursion, there are several ways to save money, but advanced planning is key. Taking advantage of all types of money-saving opportunities is the best way to ensure that you’re not only prepping for a fantastic vacation, but you’re not breaking the bank in the process. 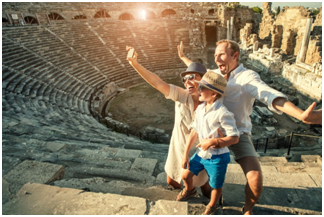 These five tips can help you plan and execute a summer vacation that will thrill the entire family for a lot less than you think. Of course the first step is always deciding where you want to go, and that is often the most difficult part of the vacation planning process. Getting the entire family on board with one destination can feel like pulling teeth, but it really all comes down to what you can afford. Whether you’ve budgeted for a staycation in your own city or have an international destination in mind, booking early will save money. However, it’s also wise to keep in mind the fact that plans change, so always look for booking options and trip insurance that allows changes to your itinerary for any reason. The added cost is minimal, but having the option to make changes is invaluable. If you’re short on destination inspiration, there are a few things to add to your list of considerations. The U.S. dollar is particularly strong right now, so traveling internationally is a great option. Mexico, Canada, Europe, and the Caribbean are all great choices that will maximize your vacation budget. If you decide to stick closer to home, consider lesser traveled cities or rural areas to save money. Smaller cities like Nashville, Portland, Maine, and Spokane, Washington are less expensive than their larger, nearby counterparts and offer unique experiences that you’ll remember for years to come. While a traditional hotel can be a great choice, more and more travelers — especially families — are looking to alternative lodging options as a great way to save money on travel. Airbnb tops the list here, and by choosing this over a hotel is almost always a better choice for families. By renting through Airbnb you’re often getting an apartment or a house in your destination city, and having a kitchen can cut your food costs dramatically. Instead of dining out for every meal you can prepare your own food and avoid high restaurant costs. In addition, the per night price of an Airbnb rental is generally in line with the cost of hotel rooms, so unless a hotel is part of your overall plan (think Disney or an all-inclusive resort) an Airbnb rental is almost always the best choice. When most of the major U.S. airlines began tacking on extra fees for luggage and food, most of us grumbled but ponied up the extra cash anyway. However, for families traveling on a budget these fees can easily reach $100 or more. Fortunately, there are ways to avoid them. Consider taking only carry-on bags when you fly. Since most airlines allow a carry-on bag and a personal item, the combination can easily hold enough clothing for a trip of a few days to a week. Pack your own snacks and an empty water bottle to fill once you’re through security. These will keep the hunger pangs at bay during a flight, and will save you the outrageous charge for uninspired airline sandwich. Coupons can be a traveler’s best friend, and it’s worth the time to scour the internet for deals in your destination city. Discounts on theme park tickets, free appetizers at chain restaurants, and vouchers for tours and activities can all be found via these businesses’ websites or offered on their social media pages. Websites specializing in coupons and discounts are worth bookmarking. Even when you’re not traveling it’s a great way to save money on goods and services in your own hometown. Saving money without compromising your experience is the secret to great travel. 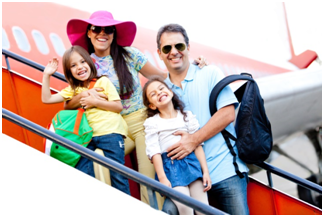 Utilize these tips for your summer family getaway and maximize the fun while minimizing costs.